The Batmobile built in 1963 was given official approval by DC comics and was the first car that actually resembled the Batmobile in comics. 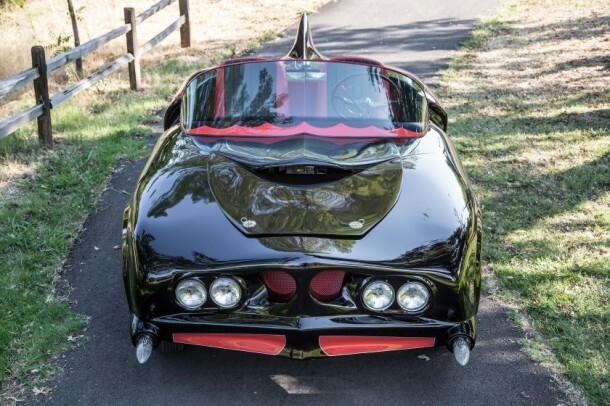 The car was created as a 1956 Oldsmobile 88 frame that has a 324 Rocket engine. 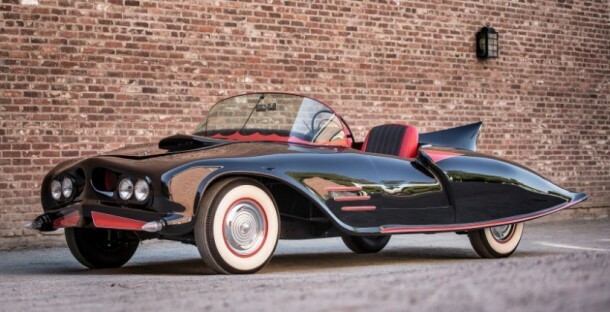 It was bought in 1960 by a Batman fan, then 23 years old, Forrest Robinson who then decided to convert it into a Batmobile. His partner in crime was his friend, Len Perham. 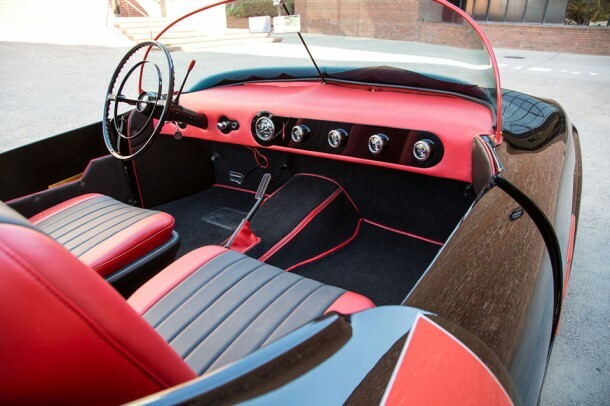 The project was completed in 1963 and the end result was a two-seater car with an open top, a bat-nose along with pocket side doors and a rear singular fin. As per Heritage, Robinson used this car as his personal vehicle until the 1966 series was aired, making the Batmobile famous. This was the time when All Star Dairies approached Robinson for leasing the car as a promotional tool for the New Hampshire affiliate, Green Acres Ice Cream, which was licensed by DC Comics to sell Batman-themed ice creams. It was then that the silver Batmobile was painted; Batman livery and given Batman badges. 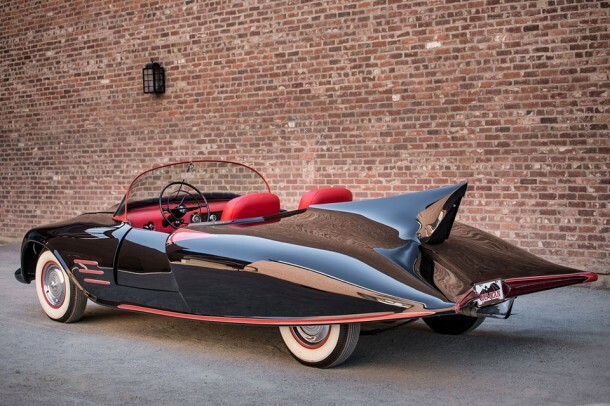 The end result was so close to the comic version that it was dubbed as the “Batman’s Batmobile”. It saw service till the end of 1966 in eastern US after which Robinson was returned his car. The car was sold by Robinson for only $200 and was rediscovered back in 2008 after rusting for quite some time in a field, eventually finding its way to Toy Car Exchange LLC. 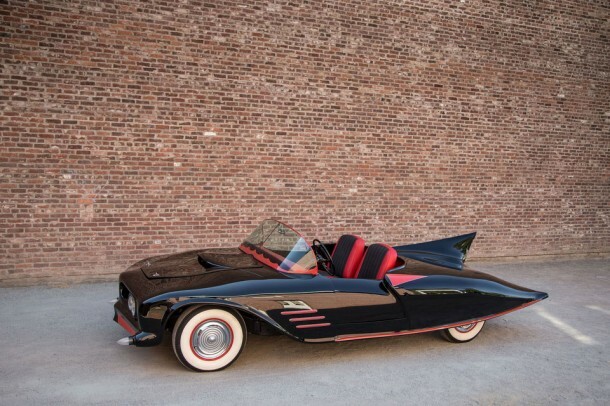 The company tasked Brobon Fabrications in Sacramento, California, to restore the Batmobile to its former glory. Earlier in 2014, the Batmobile took part in the Sacramento Autorama where it competed in the hand-built sports car class. It will go up for auction on 6th December 2014 at 11 am CST in Dallas, Texas and the online bidding will begin the night before. The bidding is supposed to start at $90,000.